Fact: 88% of victims of LGBTI discrimination and hate crimes do not report these incidents to the police. If you are nervous or afraid of coming forward to the police, contact one of the Love Not Hate partners. We’ll give you support and advice. 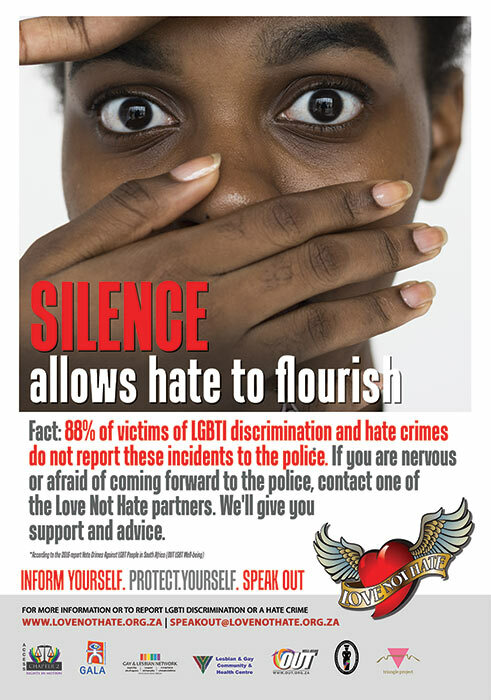 You can read the Love Not Hate report on Hate Crimes Against LGBT People in South Africa here.